This is a map of destinations made by all travelers. Everyone can be helpful. You can add a new attraction by clicking the button 'Upload photo' or 'I have a good place to suggest' in the destination page after register. We meet our little group and De Kye our guide and head off to our first monastary. Drepung Monastery, once home to 10000 monks and the Dali Lama, it was the seat of central government until the 5th Dali Lama built the Potala Palace. 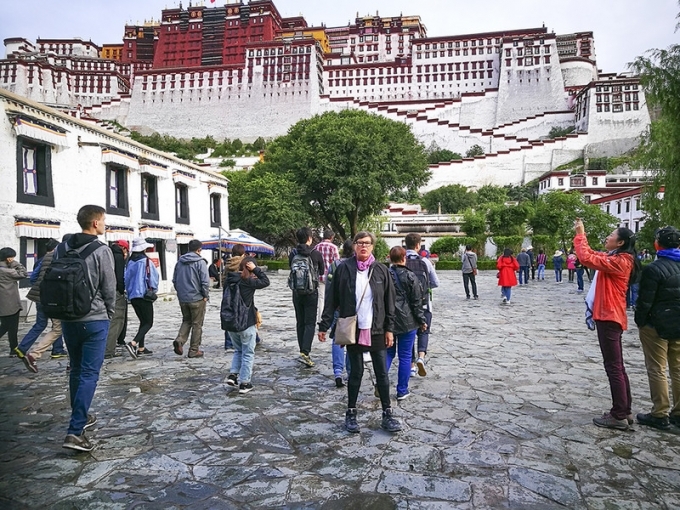 After visits to Drepung Monastery, the Jokhang temple and day 2 the Potala Palace and Sera Monastery, I begin to realise that Buddhism, in its various evocations is Tibetan culture. Day one was a religious celebration and gave us an idea of the sheer numbers of the devoted working their way around vast numbers of tourist groups, as they tried to pay their respects to every diety, Budda, teacher, Dali Lama and give their meagre wealth to the upkeep of monasteries and Monks. 7000 year old scriptures carved into wooden blocks that were then printed onto parchment then paper, much of the libraries and other treasures surviving the purges of the Chinese who really were unable to completely eradicate Tibetan Buddism. A religious festival that starts tomorrow, they come from all over bringing their pots of yogurt and milk mixture to paint their monasteries, keeping the ancient blockwork white, the red walls with other herbal mixtures. The incantations of the devout as they complete three rounds of the Potala Palace, seven rounds of the Jokhang temple ( housing the most venerated statue in Tibet of Shakyamuni venerated as the teacher of an enlightened Buddhism from the 4th century BC) , all clockwise, every day in an average time of 4 hours, thousands a day, watching some of the very old continue the journey, some escorted by a family member, some very young helping the ancient worshippers up and down stairs, sometimes almost ladders, all contributing to my wonderment. The queues, every day, protestations and donation as the devout pass by the tomb of the 5th Dali Lama. Locals in the morning, tourists in the afternoon as they try to keep the crowds from annoying each other too much, how resentful these locals must get sometimes as groups of tourists keep blocking their devotional paths. 2007 was apparently the largest number of tourists to enter Tibet, 10,000,000 at that time they could wander freely. After the disturbance of 2008, tourism was banned for a year, that must have really hurt. A heavily regulated tourism was introduced, some would say some regulation, control, does no harm, wait till New Zealand sees 8,000,000 unregulated tourists, Bhutan regulates the numbers full stop. 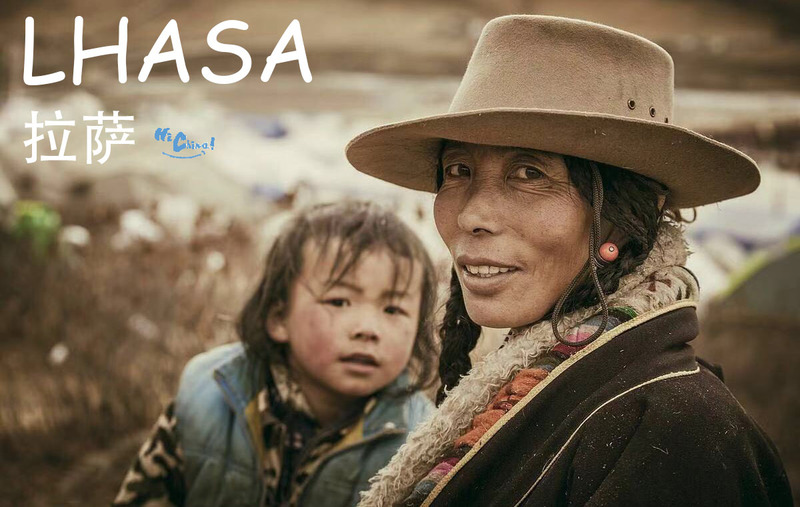 Some areas of Tibet remain closed to tourism, foreigners can only enter Tibet with a special permit and as part of a tour group. These restrictions turned off a lot off tourist trade, however tourism still plays a big part in the economy. Stories of 20 years of meditation and deprivation that made my weak, undisciplined mind rattle. Monks in caves or small huts, meditating, summer and winter, in cases some leaves and water most of the time, otherwise donated foods from the devoted. As in such extremes the question has to be asked Why? How does this add to the Tibetan or human condition? On the other hand what right has any one religion the right to judge itself over another and the way it is participated, as long as it be a peaceful participation, the begging’s of a judgment? Surrounding the ancient, oldest part built in 652, around the clockwise walk, is the market place, traditionally so the Tibetans could do all in the one place, including socialise, now catering to both tourist and Tibetans, These market streets, in fact the whole town busy from 9 to 9, people all over the place till that time, a happy atmosphere of the social and commercial, seller and customer often seated across from each other, happily bartering with each other. Groups of men in whispered conversation, often the buyer from the far reaches, especially on the tourist trails bartering for goods for their town and roadside stalls. A wonderful atmosphere to wander around the calculator the best thing for bartering with tommy tourist, as they try to keep up their percentage. More suggestion rather than harassment as we walked the backest of alleys, friendly smiles and curiosity, no outright antagonism, especially in the crowded temples and monasteries, Buddhism?